FOR IMMEDIATE RELEASE – March 20, 2015, Los Angeles, CA: Proving that the ability to tell a captivating story transcends language and culture, author Eric Edson’s book about writing a screenplay, The Story Solution: 23 Actions All Great Heroes Must Take, has now become a best-seller in China. The book, which provides actionable insights on screenplay writing and tips for imbuing characters with heroic qualities, was first published in Chinese in May 2013, and it quickly became popular in that language. The first edition sold out, and a second printing was undertaken. Then recently, the book was selected to be upgraded and completely republished as a textbook, so that The Story Solution has now become an official text for teaching screenwriting in universities and film schools throughout China. 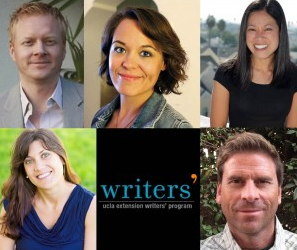 This scriptwriting book provides numerous screenwriting tips, including a list of nine ingredients that can help create an emotional bond between characters and the audience. Character attributes that he focuses on are: courage, unfair injury, skill, funny, nice, in danger, loved, hard-working and obsessed. The more of these that are included in a story, the more emotionally effective it becomes. The book is based on Edson’s personal experience writing screenplays on assignment for such companies as Sony, Warner Brothers, Disney, Fox, ABC, Showtime, NBC, and TNT. He has written and directed for episodic TV as well. A tenured full professor at California State University, Northridge, he is Director of the film department’s Graduate MFA in Screenwriting Program. 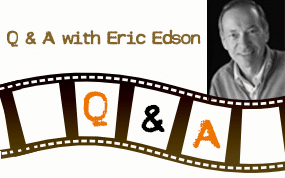 In addition to authoring one of the best screenwriting books in China, Edson provides many ways for students of the craft to hone their skills. 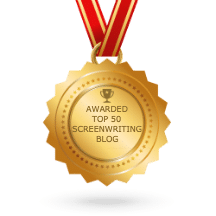 The website offers a complimentary download of his completely new Hero Goal Sequences breakdown for screenwriters and novelists based on the movie “Bridesmaids” by Kristen Wiig and Annie Mumolo. In it, he reveals how these two screenwriters created a dynamic hero and powerful story that resulted in a hit Hollywood movie which resonated with the audience. About The Story Solution: Eric Edson’s The Story Solution was written to provide concrete ideas and insights for those interested in writing a movie script. Acclaimed by many as one of the best books on screenwriting, Edson breaks down the 23 actions every screenplay writer must use to create three-dimensional heroes. Visit the website at https://www.thestorysolution.com/ to download the “Bridesmaids” Hero Goal Sequence® breakdown. “Like” the Facebook page to receive tips on scriptwriting and writing a movie script.